Robert P. Conley was born on March 21, 1959 in Harbert, Michigan. He completed his education in the River Valley School System and settled into life as an apprentice Engraver working in the company his father founded in 1961. He took over the ownership of Robert Conley Engravers in 1991. He has been active in his community. He has served as the representative to the Economic Development Council, Republican Precinct Delegate, and was Treasurer of his local Chamber of Commerce. He also served several terms as President in the Sawyer Lions Club, and was an active member in Toastmasters, and the Jaycees Club. He was raised as a Master Mason in Three Oaks Lodge No. 239 on May 10, 1982. He served his lodge with distinction in 1987 as Worshipful Master. He was honored by being elected Mason of the Year in his Lodge in 1986. He was elected by the Brothers in his district to the office of District Deputy Instructor of District 10B. He is a member of Royal Arch Chapter No. 2 in Niles, Niles Council No. 19 Royal and Select Masons, Niles Commandery No. 12 Knights Templar. He is a 32nd Degree Scottish Rite Mason, in the Valley of Grand Rapids, a Noble of the Mystic Shrine in Saladin Temple, and a member of Three Oaks Chapter Order of the Eastern Star. In 1992 he ran and was elected to the Board of General Purposes. Grand Master W. Don Baugher appointed him to the office of Right Worshipful Grand Lecturer. In 1994 he was elected to the Grand Lodge line as the Worshipful Junior Grand Deacon. He has been very active in the Masonic Renewal program both within the state of Michigan on the national level. He serves on the Masonic renewal Committee of North America. He was installed as the Most Worshipful Grand Master of Masons in Michigan on June 1, 2000. During his term of office he developed the Beacon Project. This is a program that utilizes Masonic Volunteers in elementary schools. Its goal is to help children learn to read. He also dedicated the Picnic Pavilion at the Michigan Masonic Home in August 2000. 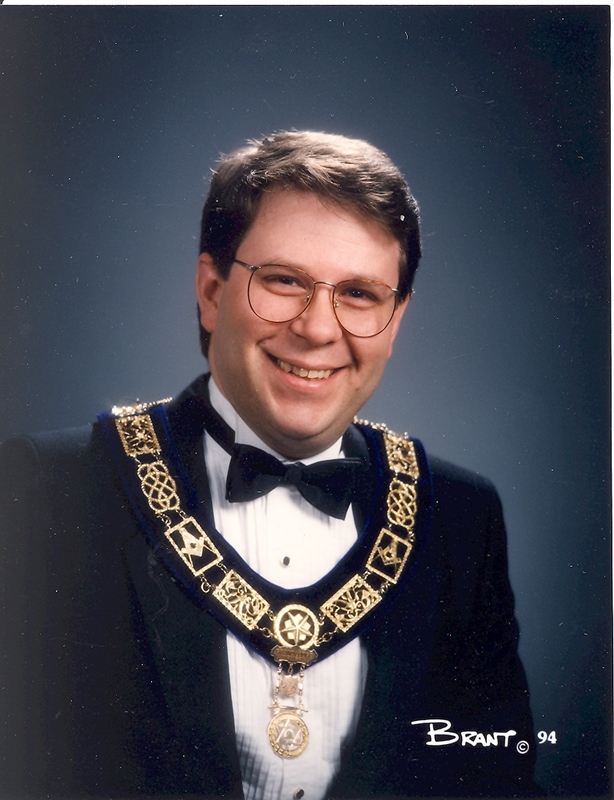 Here are some images of MWB Conley during his tenure as The Grand Master of Michigan Masons. Here is the oral history of MWB Robert P. Conley. We recorded this interview at Pathways in Alma, MI on June 4, 2013.